Organic and inorganic. 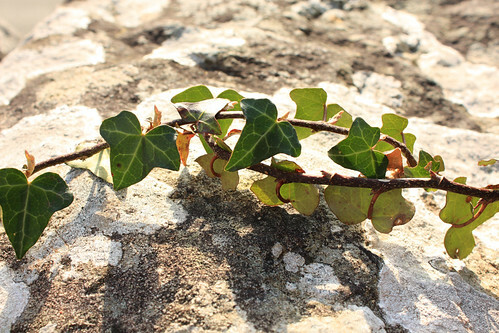 Ivy grows really well in our garden and has to be pruned to keep it under control. It likes nothing better than trailing across the stone wall. And for this I actually got the DSLR out and took a bit of care composing and processing the shot. In other news, I'm busy editing my second video in Welsh. The next video will be about Barmouth. I had it all planned and was just waiting for a day of good weather to go and do the filming. That day was last Wednesday and I was very lucky because the brand new lifeboat was out on the beach. They must have been practising with it and I managed to get some good shots of them dragging it up the beach and onto the trailer. As they were strapping it securely so it didn't fall off as they towed it up the beach, a female crew member appeared on deck. There was a mother with a small daughter, probably about 7 years old watching and their eyes lit up when they saw a woman as part of the crew. "Look," said the mum to the small girl. "There's a lady lifeboat person. See you can do anything you want." This view from my study window looks very peaceful, but on a Saturday morning there's quite a lot of noise from the rugby match. You can just about see some of the players through the trees. Then there's the sound of cars from the road. The town is getting busy now that Easter approaches and the weather is improving. And finally the birds are quite noisy at this time of year. Over in the Language Hackers' Guild in Habitica, we have a monthly challenge and one of the tasks is to post a progress report each Friday. If I remember, I'll copy them over here as well as a permanent record of what I'm doing. Friday Hackers Meeting: I forgot to post this yesterday, partly because I was using my Welsh to write the script for my next video. This time I want to try speaking directly to camera while out filming, and I find that next to impossible when speaking Welsh. (I'm not good at it in English either and tend to babble and repeat everything!) But it's ridiculously hard while speaking another language because my brain can't cope with simultaneously thinking of what to say, maintaining a good accent and handling the camera. So I need a script. I also need to look up information about all the things I want to video and mostly everything is in English, so I have to translate. So all that, plus the usual Monday morning lesson, Wednesday cafe chat and Thursday Skype call means that it was a good week for language practice. Apart from the Spanish, of course. I still haven't managed to work out the best way to fit in learning a new language so it's very stop-start. Today seems to have vanished as most of the morning and part of the afternoon was spent sorting out an overpayment regarding our broadband. I'm not going to go into the ins and outs because it's too complicated and boring, but after trying the online text chat and a helpline number with no success, I did eventually find a phone number that led to a person with access to the right account details and (cross fingers) it should now be OK and we'll get our refund in due course. 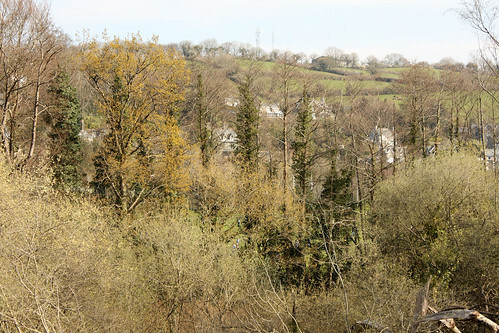 The days are lengthening, it must be spring! I thoroughly scrubbed the bathroom floor on Thursday and tidied and cleaned one shelf of the big cupboard in the kitchen. Today I tidied and cleaned another shelf of the big cupboard and, having ventured into the garage to look for something, will be spending an hour or so out there this afternoon. What I *want* to do it fling myself into a cleaning frenzy and try to Clean All The Things, but I know that never ends well as I quickly become exhausted, so I am deliberately pacing myself. All the kids have them these days. Older people too, so I've started one. And as there's no point in having a YouTube channel and not publicising it, it's time to pluck up all my courage and start posting links. This video is intended to be the first of a series. I know that a YouTube channel about travelling around Wales on all the trains and making videos in Welsh is a bit niche, but I need something to do in my retirement. I've already started work on the next one. I need to type up the notes I made yesterday and plan the day in detail, which entails looking up train times. Then I just need to wait for a sunny day. There are English subtitles if you click on the Subtitles/Closed captions button. Annoyingly I passed some good murals on Sunday while changing platforms at Wolverhampton station, but we had luggage and my husband wouldn't have been in the mood to stop while I photographed them. 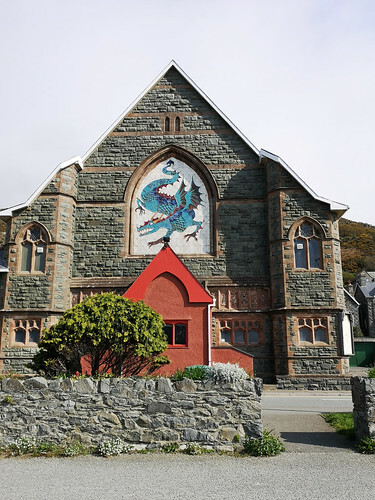 Fortunately I had a couple of reasons to drive to Barmouth today, which is the nearest mural to home. I've been fighting Brexit since 2016. It's been a long campaign. 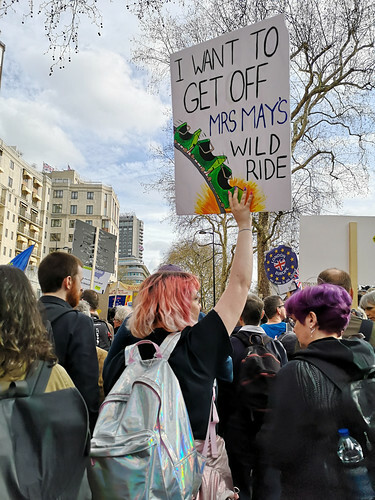 As you can see from the photo, I was at the People's Vote march in London. It was huge... immense... amazing! I have more to post, but I'm still catching up after a week away in Penrhynllŷn and the journey to London and back. Another desperation shot taken at the last minute on a shopping trip to our Co-op. 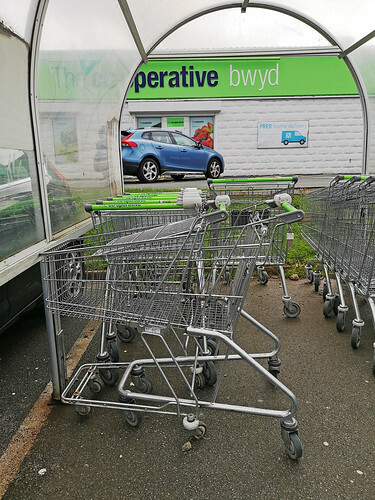 This is a bit of a stretch because the trolleys are not really knackered, but the system has been messed up by someone parking a trolley by attaching it to a row of trolleys of a different size, thus preventing me from parking my trolley! I had to push it around the car park to a more distant parking point. If I'd had another £1 coin, I could have rearranged them, but I didn't, so I couldn't. Not very inspired, I'm afraid. 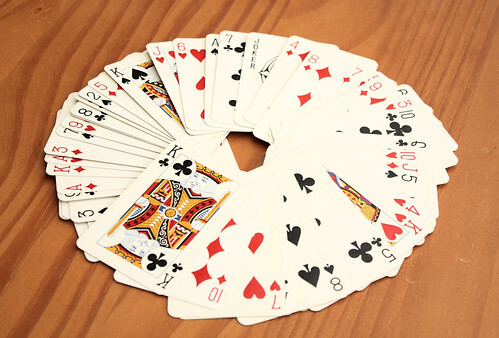 I've never been one for playing cards, other than patience (solitaire), but I dug out an old pack that I bought ages ago from a charity shop to take this shot for the theme.